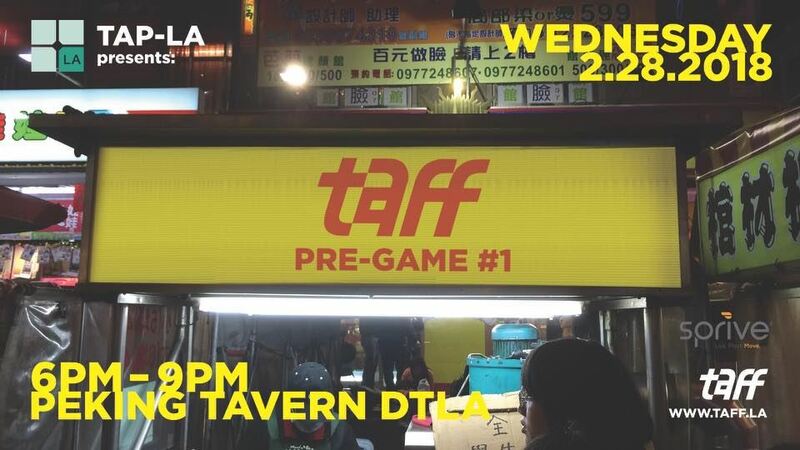 The first of three pre-parties to gear up for our highly anticipated 2nd Annual Taiwanese American Film Festival. Come meet and mingle with filmmakers and film lovers within our growing cinema community at the beautiful Peking Tavern! General Admission is $10 that can be purchased through registration or at the door. We will be offering delicious appetizers throughout the night! The early bird always gets the worm! Peking Tavern offers Happy Hour from 5pm to 7:30pm and 50% off wine bottles(on Wednesdays), the perfect way to end a Wednesday night. We will be showing trailers from some of our favorite films of last year’s festival and also we’ll be raffling off some prizes! The Taiwanese American Film Festival is slated for August 3-4 at the Downtown Independent theater. Submissions are now open, so submit today! Want more festival details? Head to our website OR just come get your party on with us. See you there!